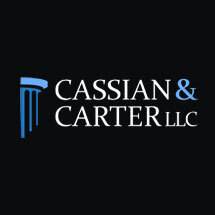 We have over 55 years of combined experience handling civil litigation in Illinois. We know the judges and opposing attorneys in many Illinois counties. More importantly, we know how to use that knowledge to our clients' advantage. Give us a call and set up a free appointment so that we can explain the legal process and show you how we can help. We will work hard to try to give you the results you want. You go to an attorney for results and we work to give you the results you deserve. We believe that modern law practice should not be intimidating for clients. Clients should not have to wait days for an attorney to call them back. If a client takes the time to call us, we will do our very best to get back to that client as soon as we possibly can. If a client takes the time to schedule an appointment with us, we will make sure to meet with the client at the scheduled time. If a client needs to meet us at home or somewhere more convenient for the client, just let us know and we will do everything we can to make things easier for you.